Mention Sorsogon and the town that usually comes to mind is Donsol, the place famous for whale shark watching. But the town of Gubat is slowly becoming a destination for surfing lovers. Situated along the Pacific Coast, the white-sand beaches of the town were already popular retreats but the town is slowly becoming known as surfing hub. When you talk about surfing in the Philippines, you would normally think about Surigao or even La Union up north. However, the waves at Gubat are pretty incredible as well. A lot of people were already aware of riding the waves in Gubat but it was just a few years ago when it become known to the general public. Surfing in Gubat first gained prominence in a village called Buenavista. The exact place where it began was called Breeding for it was once a breeding site of the Department of Agriculture. Today, the site is called Nico’s Reef. 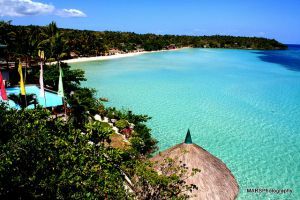 All this said, the two best surf camps in Gubat are the Buenavista Surf Camp and Lola Sayong Eco-Surf Camp. You can either take the bus to Sorsogon or opt to fly. If you’re choosing the latter, the nearest airport is located in Legazpi City. From there, board a bus bound for Sorsogon City. Once in the city, find a jeepney headed to Gubat. If you’re opting for a longer travel, getting on a bus from Manila is your best option. Take note that the travel time is a rather grueling 12 hours. Sorsogon is also accessible by sea from the Visayas. The port is located in Matnog where after you get off the boat, find a jeepney bound for Abuyog. Once there, look for another jeep that will take you to Gubat. 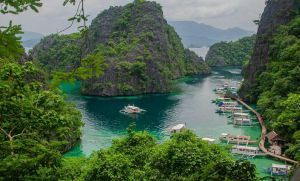 Sorsogon is located in the Bicol Region, which is an area filled with so many natural wonders and historical sites that it’s well worth your time to plan a road trip in this region alone. Then again, if you’re looking for surfing breaks in the Philippines and want to go to areas that aren’t too commercialized, Gubat is a great destination. Of course, since you’re already in Sorsogon, why not see nearby areas as well? Donsol is a pretty good one, particularly during whale shark sighting season. Sorsogon is located in the Bicol Region and you just can’t deny the beauty of the place. As such, it would be a shame to not be able to see some of the attractions it has to offer. Of course, this all depends on your time and budget but touring the region is definitely worth a shot. Sorsogon, along with Albay, Camarines Norte, Camarines Sur, Catanduanes and Masbate, make up the Bicol Region. These places have an equal amount of natural beauty and history to entice you to stay for a very long time. So when you’re in the area and have enough resources and time, do see the other attractions the area has to offer. Thanks for this! Very informative! Btw, what are the best months to visit Gubat to surf? 🙂 Thanks in advance!